AtmaGo is powered by its users and used by many different groups. Government agencies, local community groups and individuals have all benefited from Atma’s user-generated content. Our users have shared more than 667,000 peer-to-peer exchanges on issues of water, food, jobs, education, shelter, flooding, crime, and fires. 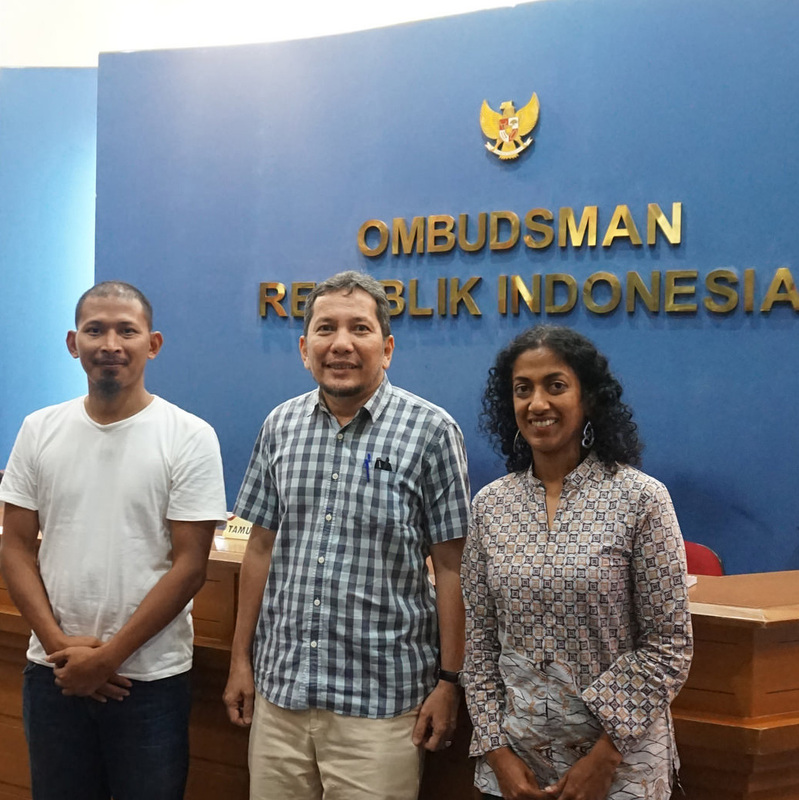 Ibu Sumiyati is just one of many AtmaGo users who are connecting with their community to help neighbors prepare for disasters, improve access to basic needs, and overcome chronic challenges. Happy Azmi uses AtmaGo to report problems like infrastructure and poor roads in his community. Fajri and Fajar use AtmaGo frequently. “I use AtmaGo because it gives me a way to help other people. All the other social media is ‘ego media’—look what I am wearing or look what I am doing. AtmaGo is something different,” shared Fajri. 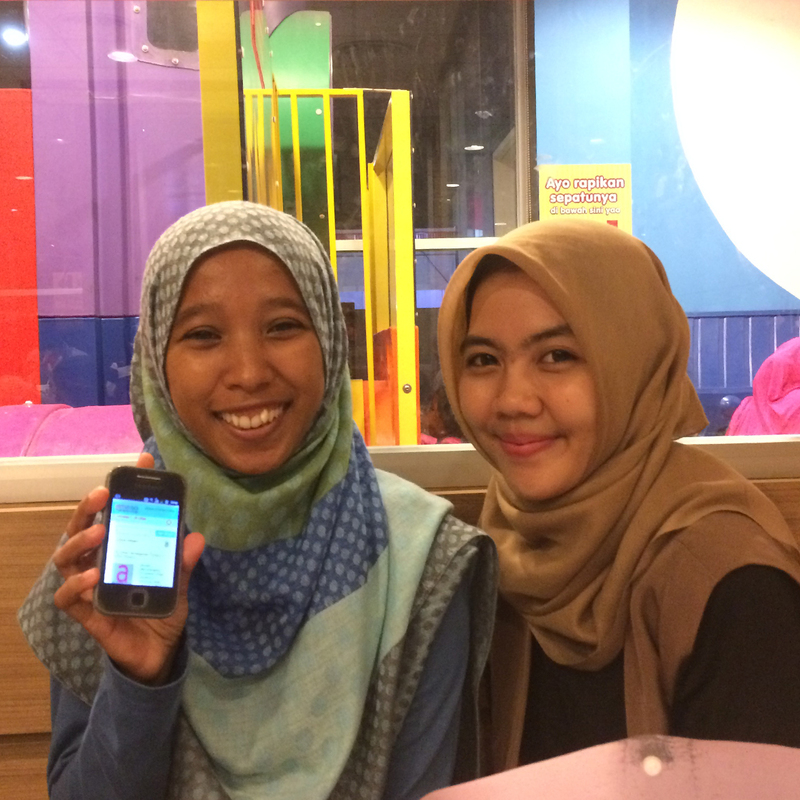 Fajar from East Jakarta, thinks AtmaGo is an easy-to-use application and useful when there is heavy rain in her area. She checks to see whether there is flooding or traffic jams around her neighborhood. Her favorite posts are about useful tips on flood prevention and what to do when there are floods. 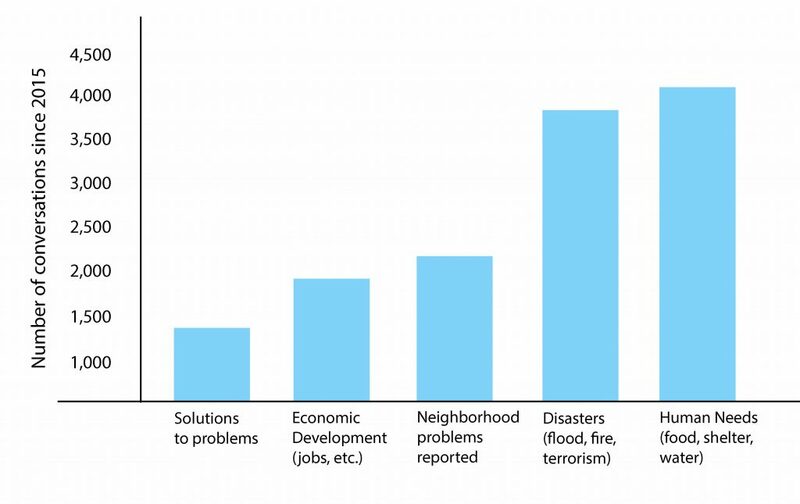 AtmaGo uses 3G technology to enable peer to peer information flow on access to affordable food, water, livelihoods, disaster prevention and response, and public safety such as crime and terrorist threats.